A SOUTH Sudanese volunteer was one of 175 MercyCare volunteers who were recognised for their work in the community on International Volunteer Day last week. Philip Lako, who has been volunteering with MercyCare Mirrabooka since 2015, suffered from brutality and abuse as a child soldier. Mr Lako managed to escape to Kenya, where he lived among 800,000 people in camps before arriving in Australia in 2004. 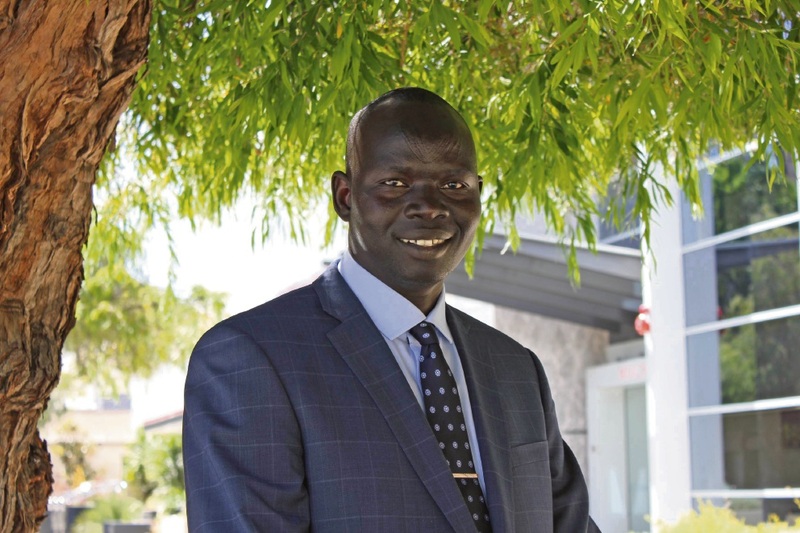 The Aveley father-of-three said his experience in South Sudan was a big driving force to teach English, host safety inductions and employment workshops in Mirrabooka. “I keep asking myself why some people have to suffer and how come some people have opportunities,” he said. “During my childhood I learnt that the process of giving was to sustain one’s life. “If you didn’t give, it may have been the difference between life and death; sharing was very important. He said he hoped to obtain a formal qualification. “I am studying full-time at Edith Cowan University,” he said. MercyCare volunteer services co-ordinator Anne Ward said Mr Lako was a role model for young migrants and refugees. “Philip has travelled the road that many refugees have taken, so he has extraordinary empathy and insight,” she said.